The dimensions from Cogswell’s original court, including service and single court measurements, have stood the test of time. 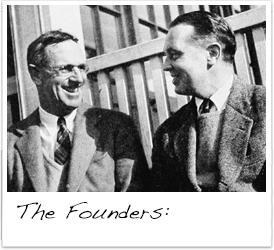 There have been a number of experiments at changing them, including an APTA sponsored experiment at Fox Meadow Tennis Club in 1956 where the court length was extended 2 feet on either end to 48 feet. The platform size was increased to the present day dimensions of 60 x 30 feet in 1932 when Cogswell built a second court with a larger platform. This made the playing area one quarter the size prescribed for a tennis court. 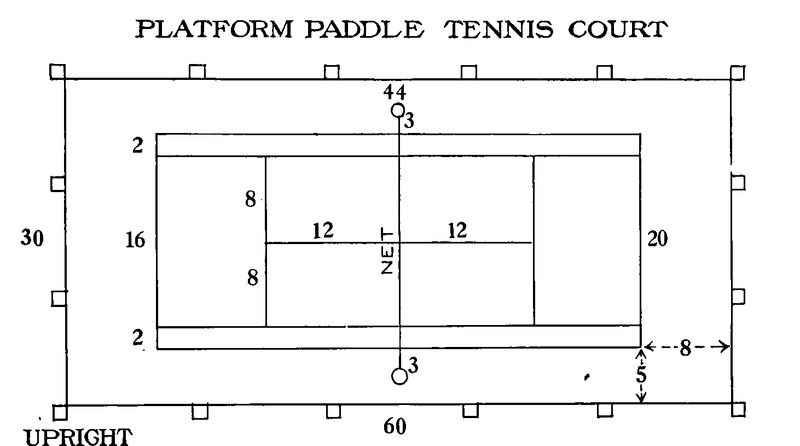 Source: Adapted from Fessenden S. Blanchard, Platform Paddle Tennis, 1944.